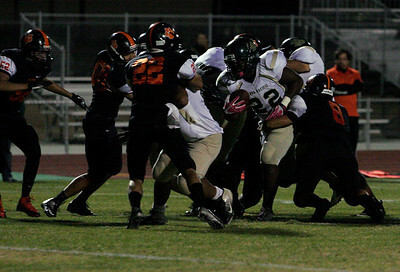 Woodlake's defense converges on Sierra Pacific RB DeAeron Willis (22) in the Tiger's 50-27 victory over the Golden Bears on Friday. 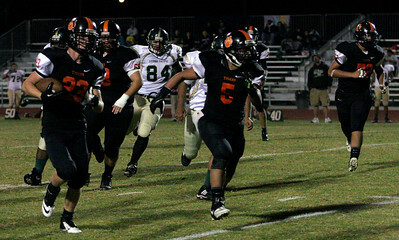 Johnny Rios (5) leads Johnny Kulick (2) during a rush against Sierra Pacific. 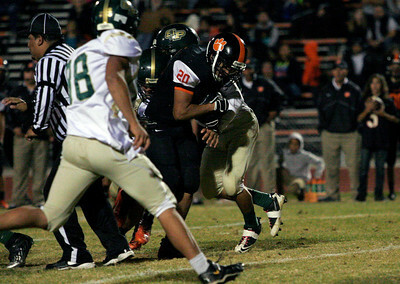 Woodlake won 50-27. 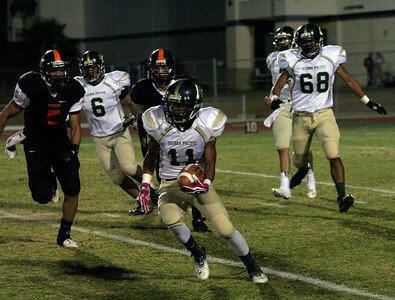 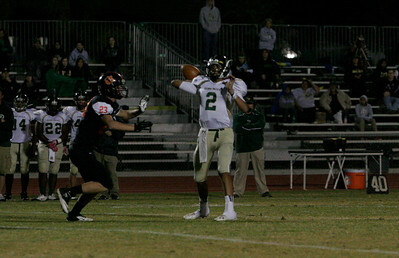 Woodlake Tiger Elijah Cunningham (1) breaks past Derek Yang (20) in route to a 67 yard touchdown catch. 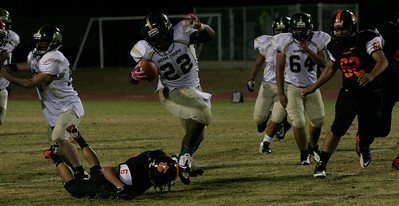 Rodriguez RB (20) gets tough yards in Woodlakes 50-27 defeat of the Sierra Pacific Golden Bears on Friday. 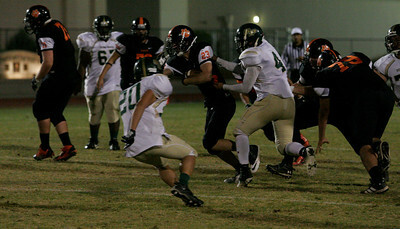 Woodlake Tiger RB John Kulick (23) had 100 yards on 19 rushes in Woodlake's 50-27 win over the Sierra Pacific Golden Bears on Friday, November 1, 2013. 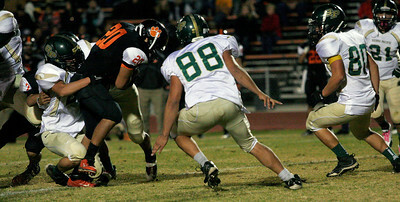 Woodlake RB Augustin Rodriguez (20) fights for tough yards in the Tiger's 50-27 win over the Sierra Pacific Golden Bears. 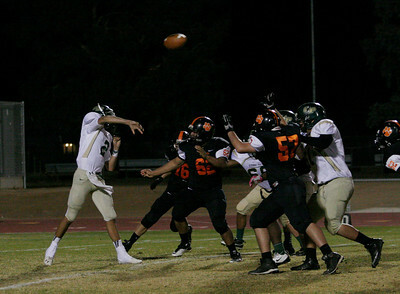 Sierra Pacific Quarterback Nicholas Moreno lets a pass fly as Forrest Cooer (76), Nick Negrete (62) and Juan Sandoval (57) rush the passer. 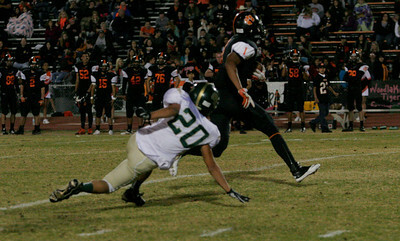 Sierra Pacific RB DeAreon Willis dodges the takle of Woodlake DB Tim Diaz as Woodlake LB Nick Legrete converges in Woodlake's 50-27 win.